Bangladesh High Commissioner to India Syed Muazzem Ali said on Tuesday power sector appeared to be the hallmark of Dhaka-Delhi cooperation as he joined a regional energy conference. There is a positive momentum in cooperation between our two countries in the power sector and the achievements so far have been highly encouraging, he told the conference titled “India’s Energy Security: Inter-regional Cooperation to Energy Security Society”. Muazzem added that they are happy that Bangladesh and India are experiencing very substantive cooperation in the energy sector while Bangladesh currently imports 1,160 MW power from the neighbouring country. However, He added that the partnership between the two countries went far beyond a strategic partnership touching upon virtually all areas of human endeavor under Prime Minister Sheikh Hasina and her Indian counterpart Narendra Modi’s leadership. 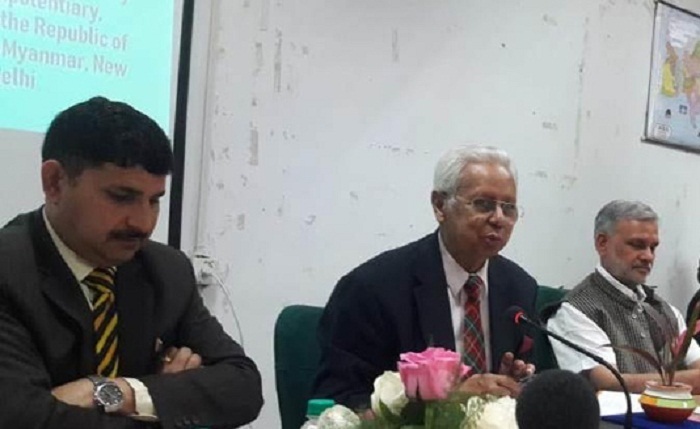 The conference was held at the Centre for South Asian Studies, Jawaharlal Nehru University while Centre for South Asian Studies chairman Professor Bhardwaj Chairman presided over the meet. India and Bangladesh, Muazzem said, are now cooperating on renewable energy and nuclear power. Bangladesh has entered the era of Nuclear Power on November 30, 2017 with the inauguration of the construction of the 2400 MW Rooppur Nuclear Power Plant in Pabna, which would be built with Russian and Indian collaboration. The development of the Rooppur power plant is India’s first ever nuclear venture in the neighborhood, where it will be providing technical assistance to Bangladesh, he added. Syed Muazzem said Dhaka and New Delhi are also moving to the sub-regional cooperation adding that a trilateral investment of 1125 MW hydro-power project in Bhutan, by Bangladesh, India and Bhutan is also under discussion. He said another trilateral Hydro-power project in Nepal by Bangladesh, India and Nepal is also under consideration and a MoU with GMR, India and Bangladesh was signed in April 2017 for import of 500 MW power from Nepal to Bangladesh.